Before you is a translation of the book: “Talkhees Ahkaam-ul-Udhiyah wadh-Dhakaat [The Rules of Sacrificial Offerings and Slaughtering – Abridged] which is a condensed version of a larger book written by Imaam Muhammad bin Saalih Al-Uthaimeen [D. 1421H]. 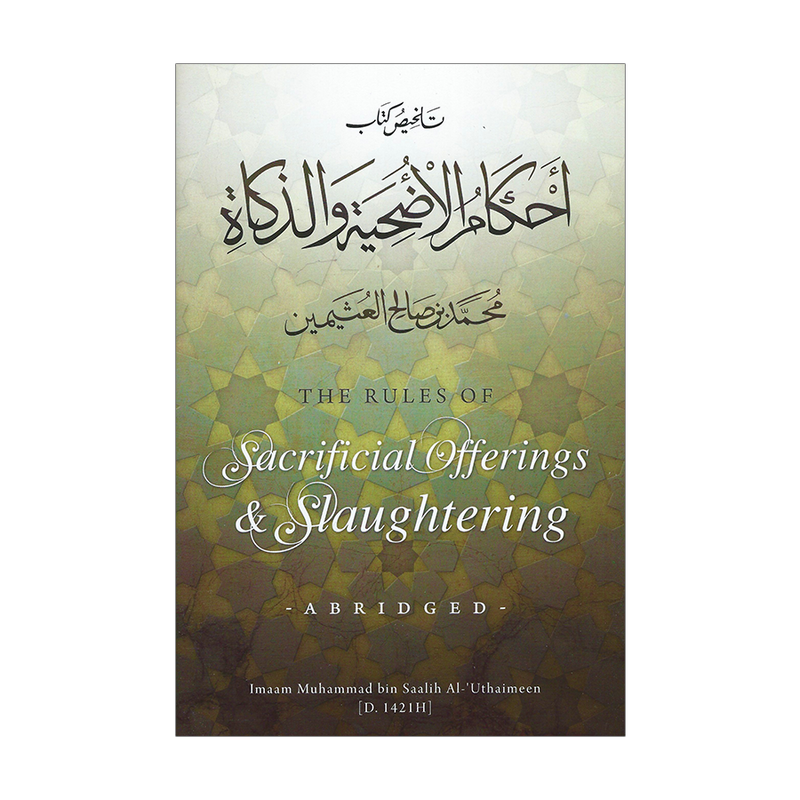 The author has divided his discussion into ten solid and informative chapters in which he covers the various rules and regulations of sacrificial offerings and slaughtering. So this treatise serves as a valuable guide for those intending to perform the sacrifice on the day of Eid. It is hoped that it will serve as a source of benefit and guidance to English-speaking Muslims throughout the world. Chapter Four: Who does the Sacrificial Offering Cover? Chapter Six: What should be Eaten and Distributed from the Sacrificial Offering?